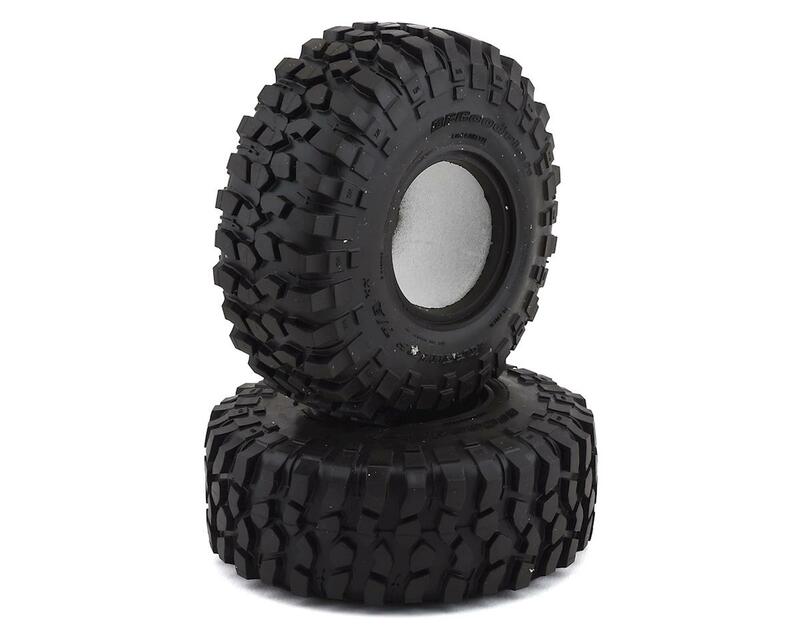 Home > Rock Crawlers > Tires/Wheels > Tires > 1.9"
This is a pair of Pro-Line BFGoodrich Krawler T/A KX 1.9" Crawler Tires. Pro-Line is proud to continue their successful partnership with the leading full-size Off-Road tire manufacturer - BFGoodrich! This collaboration started with the introduction of the full-race BFGoodrich Baja T/A KR2 tires and continued with the extremely popular BFGoodrich All-Terrain KO2. 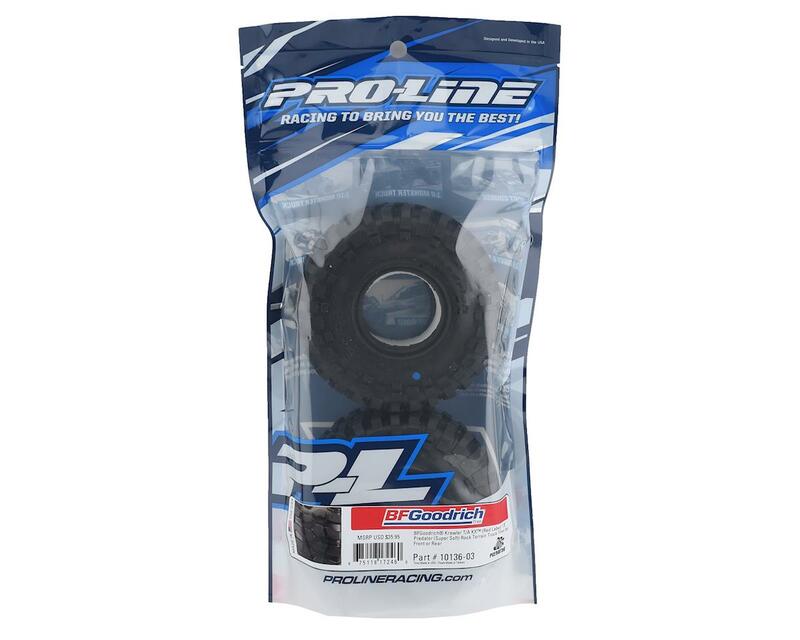 Now, Pro-Line offers the Crawler specific BFG Krawler T/A KX tires available in Pro-Line’s legendary G8 compound or super soft "red label" predator compound! The Krawler T/A KX (KX is for Key feature: eXtreme traction) is BFGoodrich's Off-Road Maximum Traction tire for off-road enthusiasts who participate in the extreme sport of rock crawling to challenge their driving skills and the performance of their vehicles. This purpose-built rock crawling tire was developed through participation in competition as BFGoodrich worked directly with full-size rock crawling enthusiasts. The Krawler T/A KX features an extra deep tread design with a tread pattern that combines deep, aggressive independent blocks with solid sidewall lugs. Pro-Line’s re-creation of the Krawler T/A KX comes in at 4.75" tall x 1.75" wide for the perfect balance of Scale looks and performance!